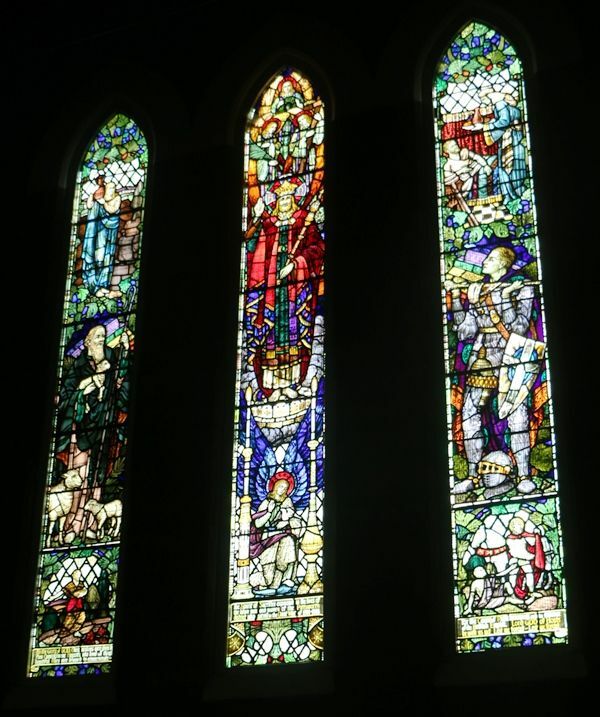 Three stained glass windows commemorate the men and women of Pittsworth District who served in World War One. 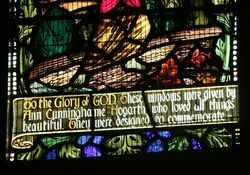 Arrangements are in hand for the erection of three stained glass windows in St. Andrew's Church of England, Pittsworth. 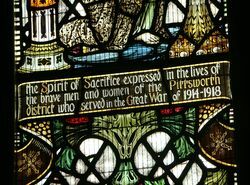 The windows will be a memorial to the men and women in the Pittsworth district who served in the Great War. The cost will be covered by a gift from the late Mrs. Hogarth, of Balgownie, who was a generous supporter of the Pittsworth parish. 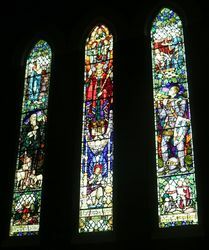 The beauty of St. Andrew's Church of England, Pittsworth, one of the most picturesque churches in Queensland, will be added to when three war memorial windows, the bequest of the late Mrs Annie Hogarth of Balgownie station will be unveiled by Mr. Angus Hogarth, the only one of Mrs. Hogarth's four sons to return from the Great War. 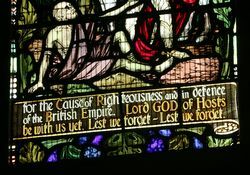 The windows, which cost £420, are in memory of all soldiers and others who rendered service during the years 1914-1918.
for the Cause of Righteousness and in defence of the British Empire. Lord GOD of Hosts be with us yet. Lest we forget - Lest we forget.